Not content with introducing a unique hardware chip in the iPhone 5 to eradicate cheap alternatives, it turns out that Apple is also only allowing approved third party factories to create accessories using the new Lightning connector. This tighter control is set to all by eradicate cheap third party alternatives that don't have Cupertino's stamp of approval. At this stage, it appears that no third parties have actually received Apple's blessing to go forth and create Lightning accessories. But according to Slashgear, Apple is planning a special seminar in China within weeks to communicate the company's position with factories interested in manufacturing Lightning-based peripherals. 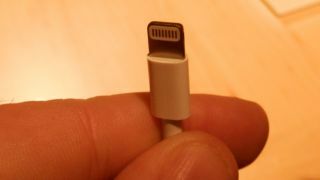 The fact that no Chinese factories are already making Lightning connections means that it will likely be months before we begin to see third-party peripherals for the iPhone 5. This delay is certain to frustrate the Apple faithful reluctant to spend AUD$35 ($US29, £18) on a special 30-pin to Lightning adapter. However, given the unrelenting popularity of the new iPhone, which sold five million units in its first three days, the delay is unlikely to pose any long term damage to the brand.